Explore remote regions, quaint historical towns and powerhouse cities, uncovering the awe-inspiring landscape of the United Kingdom on board some of the world’s most exciting railway journeys. Below is a list of the must-do rail journeys in Britain. If you’re not interest in the drive, then take it from us here at adeo – you want to start planning your route around these truly remarkable rail lines. Starting with the most iconic; the West-Highland Rail-Way is a marvel of scenic travel. 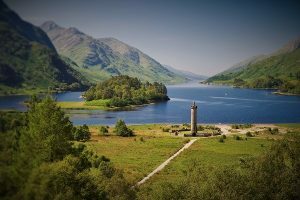 Made famous by the Harry Potter series, this magical route will fill your heart with adventure as your cross over the Glenfinnan Viaduct, taking in the breath-taking majesty of the Scottish Highlands. From the highest mountain peak in Britain, to the deepest freshwater Loch, the West Highland line is an unmissable journey that ranks as one of the very best rail experiences in the world. The crowning jewel of Wales’ spectacular landscape; Snowdonia National Park is not only accessible to hiking hobbyists. 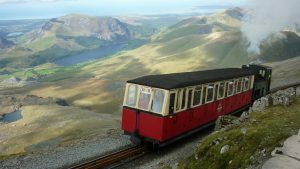 The Snowdonia Mountain Railway takes you up to the summit of Wales’ highest mountain without so much as lifting a leg and offers passengers unrivalled views of the unspoiled landscape of Wales. If you don’t fancy the hike, jump on board this legendary train and get inspired by one of the UK’s most dramatic settings. Few places in the world can rival the scenery of the English countryside, but there are none – even within its own borders – that come close to the spellbinding green of the Yorkshire Dales. 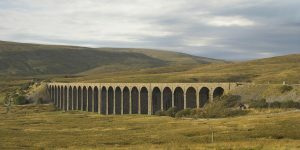 The Settle to Carlisle northern line is an unforgettable journey that travels through the heart of the quintessential English country side, along the magnificent Ribblehead Viaduct. Experience Yorkshire in all its glory on this poetic railway journey of discovery. Another of Scotland’s other-worldly rail journeys – the Highland Mainline travels from Edinburgh or Glasgow, through the spectacular Cairngorms national park on route to Inverness, the capital of the Scottish Highlands. Be sure to make stops on your journey north at some of Scotland’s most charming towns and villages, later venturing into the Speyside Valley to sample a dram of some of the world’s finest whisky. The major link connecting the capital cities of London & Edinburgh. 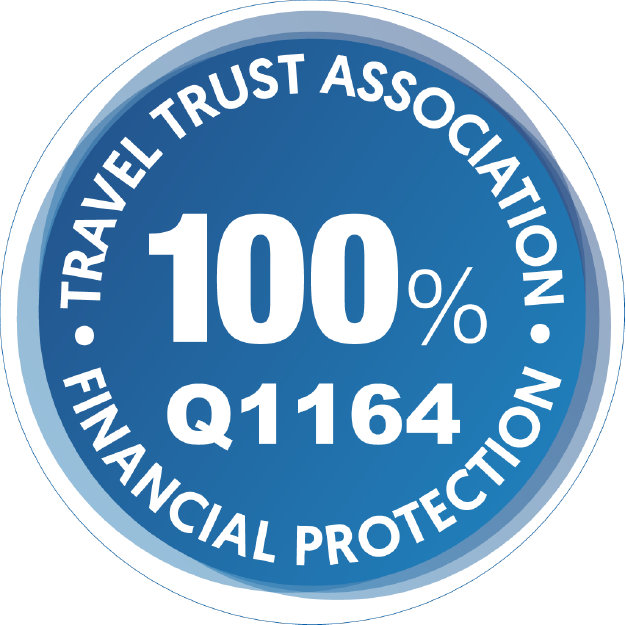 Journey through the sweeping countryside of the north Yorkshire moors; the historical cities of York, Durham & Newcastle; travelling along the white shores of the eastern English coastline. Discover the quaint coastal towns of Whitby, Scarborough & Berwick-upon-Tweed before crossing over the ancient border of England and Scotland all on route to the Scottish capital city of Edinburgh. Whether you start south in London, or to the north in Edinburgh, the above train-lines will keep you connected to all of Britain. From the coast of Wales, to the highlands of Scotland, your rail journeys can be pieced together and included as part of any rail-tour of the UK. Enquire now to start planning a route and create an unforgettable rail-tour of Great Britain.